The hotel also recorded second highest score of all city hotels in the world with 94.49 points. It now ranks 23rd best hotel in the world overall, up from 57th in 2010. Its spa – The oriental Spa – was voted No. 8 in the world and No. 2 in Asia. Bangkok also kept its first place spot as the world’s best city in 2011. “There is an increasing amount of quality competition in Asia – so we are delighted to be once again awarded Asia’s best spa,” says Jan D. Goessing, general manager. Also in Thailand, Mandarin Oriental Dhara Dhevi, Chiang Mai, was voted 7th best hotel in the world overall and second best resort hotel in Asia in 2011 – up from No. 9 spot a year ago. The first is a limited-time “super saver”, good from now until Oct. 1, 2011 at Bandara Suites Silom in Bangkok. The promotion offers guests a special price for two persons of 2,170 baht a night for super room accommodation; and 2,450 baht a night for deluxe room accommodation. Breakfast is included for both. 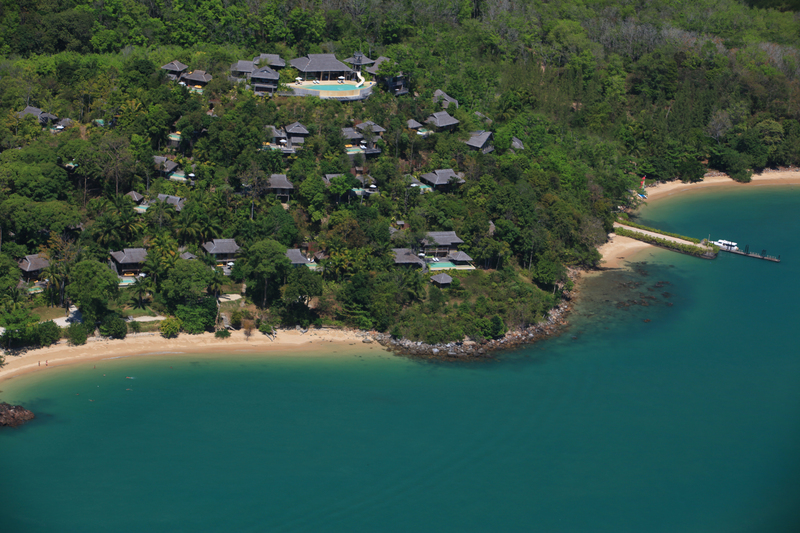 The second is a Villa Special promotion, in effect until Dec. 21, 2011 at Bandara Resort and Spa, Koh Samui. The special price for villa accommodation starts from 6,600 baht a night. The price also includes breakfast for two. Eight internationally known master chefs have signed up for the 12th annual World Gourmet Festival at Four Seasons Hotel Bangkok. The festival runs from Sept. 5-11, 2011. Gourmet festivals exist throughout the world but only Four Seasons Bangkok, said a Four Seasons spokesperson, brings award-winning master chefs under one roof for a week-long celebration of outstanding food and great wines. The event is co-ordinated and overseen by Executive Chef Nicholas Schneeler along with Shintaro Chef Satoshi Sawada and Biscotti Chef Daniele Casin, all of Four Seasons Bangkok. Each guest chef will be host to two evenings in one of the hotel’s restaurants. The popular World Gourmet lunch will be featured daily from Sept. 5-8, with cooking demonstrations from one of the guest chefs of the day, live cooking stations and a chance to sample some of their creations. The World Gourmet brunch will be held on Sunday, Sept. 11. This year’s festival will also include two exclusive wine-tasting events by two well known winemakers as well as a tea-paring event by world class master tea blenders Dilmah. Ivo Adam, Seven, Ascona, Switzerland; Adriano Cavagmini, Amaranto, London; Anthony Demetre, Wild Honey, London; Guido Haverkock, Espacio, I Portici, Balogna; Dolli Irigoyen, Espacio Dolli, Buenos Aires; David Lee, Nota Bene, Toronto; Hari Nayak, Orissa, New York; and Kazumi Sawada, Hoku, Guangzhou, China. Also again this year, a portion of every ticket price, as well as proceeds from an auction, will be donated to HRH Princess Soamsawali’s Save-A-Child’s Life from AIDS project under the auspices of the Thai Red Cross Society. The hotel is also offering a festival package that includes overnight accommodation for two, complimentary breakfast and a featured dinner. 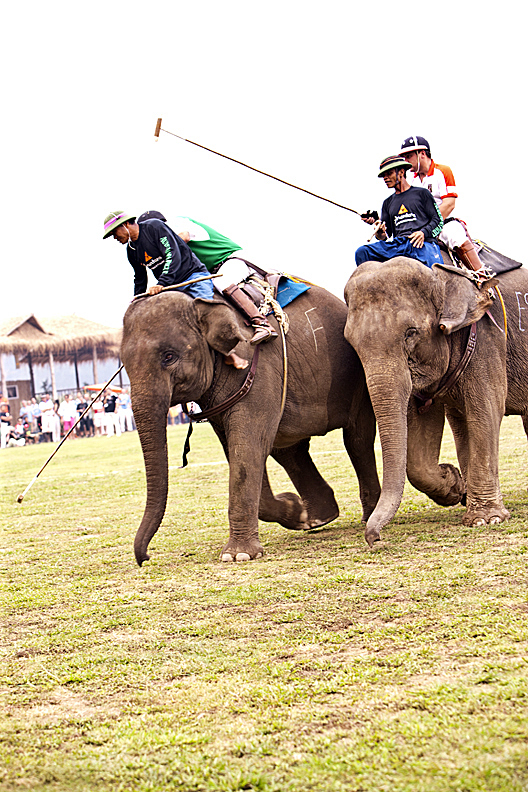 If you’re going to Asia this September, think about heading to Hua Hin in Thailand for the 10th annual King’s Cup Elephant Tournament from Sept. 4-11, 2011. You never quite know what to expect or what will happen. It’s full of surprises – even for tournament organizers. Take what happened during the 2004 championship: The umpire elephant (the elephant the umpire sits on) – named Plai Kampaeng, took a liking for the star striker, Pang Dodo, and decided to make his interest known. Dodo wasn’t having any of it and took off, followed by Plai Kampaeng in hot pursuit. In case you’re wondering, that’s why umpiring is now done on foot. The tournament will be held on the grounds adjacent to Anantara Resort and Spa in Hua Hin, a two-hour-plus drive from Bangkok. A 3,000-seat stadium is nearing completion. Visitors will be able to watch the matches for free. The competition has drawn 55 players from four continents, including the famous All Black Rugby Players, German Princesses and Olympic Gold Medalists. This year’s event will be bigger than ever. New additions include Chang Noi Children’s Day, an opening parade with army bands, Thailand’s last elephant spirit men and traditional dancers. Fifteen local and international celebrities have been invited to paint and decorate an elephant replica, which will be auctioned off for charity at the final gala dinner. The tournament has raised more than US$300,000 for the National Elephant Institute, which provides medical care, sustenance, employment and mahout training to Thailand’s elephant population. The world’s first elephant-assisted therapy clinic for autistic children was sponsored by the King’s Cup Elephant Tournaments in 2009 and 2010. HRH Princess Soamsawali will preside over a special charity dinner at Four Seasons Resort Chiang Mai on Saturday, August 27. The dinner will take guests on a culinary journey through the secrets of Thai cuisine, with dishes created for the event by celebrity food expert, chef and writer ML Sirichalerm Svasti, popularly known as Chef McDang. Proceeds from the event and live charity auction will go to HRH Princess Soamsawali`s Save a Child’s Life from AIDS project, under the auspices of the Thai Red Cross Society. The project was created with the prime objective to prevent mother-to-child transmission of HIV. It provides medicine to pregnant women who are affected with AIDS. The event will be held at Four Seasons Resort Chiang Mai Cooking School, beginning with a cocktail reception at 6.30 p.m. and followed by a five-course dinner paired with fine wines. The menu will feature Chef McDang`s creations. Tickets are prices at THB 3,500. 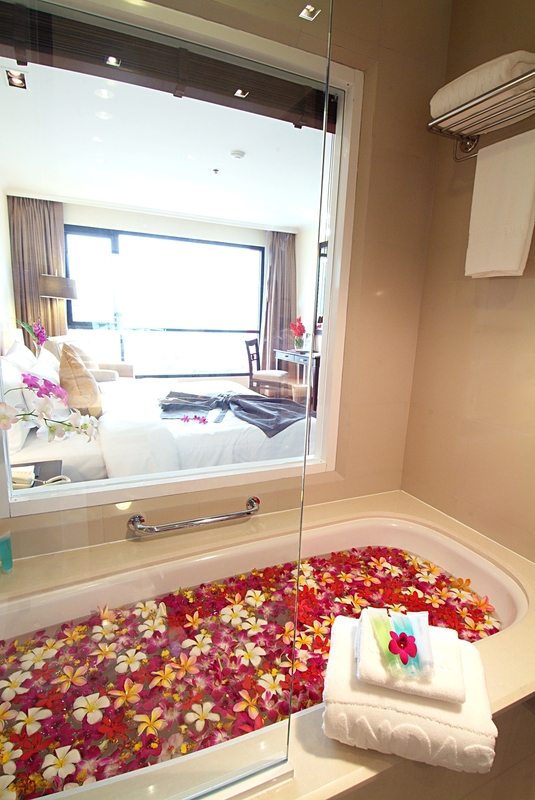 The resort has created a special package who would like to retire to a guest room after dinner. The overnight package includes one night’s accommodation in a Lanna Pavilion, breakfast and dinner tickets for two people. Government tax and service charges are extra. 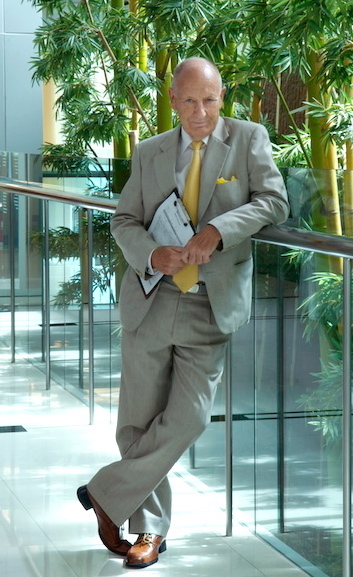 Dr Moreton, a British graduate, trained as an obstetrician and gynaecologist in Montreal, Canada. After practising in the U.S. and Canada for many years, he went to China where he established the first Western-style maternity units in Beijing and Shanghai. 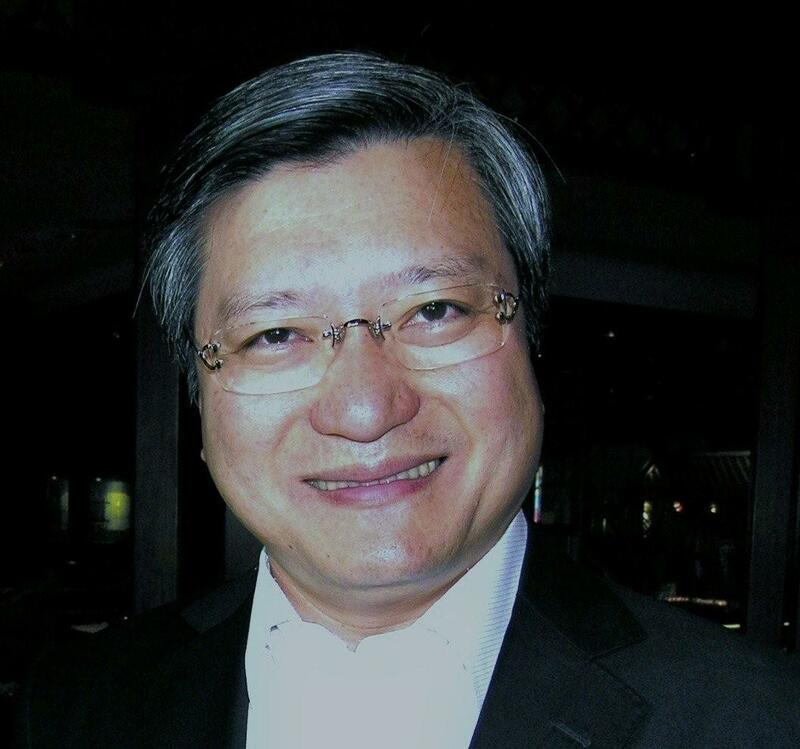 He is now the International Medical Co-ordinator at the Bangkok Hospitals in Bangkok and Hua Hin. Thailand’s reputation as a preferred destination for medical care is complemented by the country’s status as an attractive vacation destination. In addition, many multi-national companies and International agencies have chosen Bangkok to be their Southeast Asian headquarters because of its reputation as a city that is a pleasant place to live. In 2010, that image was tarnished by political circumstances which were unfortunately magnified by inaccurate reporting by the media. Thankfully, that is behind us. National elections have been held and, although enthusiastically sensationalized, were relatively peaceful. A new government is in place and democracy has been preserved. The international hospitals were completely untouched by any of the disturbances, and the patients that came to Bangkok hospitals were quite safe. People asked me then whether the streets were safe — I had to say that I could not be totally reassuring, foreigners will insist on hiring motor-bikes and falling off them. The injuries to foreigners in Asia are, for the most part, self-inflicted and have no political connections. Thailand is a country that is well qualified as a destination for the patient seeking medical care. A country’s ability to provide care for non-residents is necessarily built on the structure created to treat its own people. Only a country with well-trained professions working in a system that embraces excellence, and is well organized and ethical, can hope to build a system to treat visitors coming to that country for medical care. Thailand’s place in Asia is unique. As the only country in Southeast Asia not to suffer the indignity of colonization, it has been a self-confident, outward looking, internationally minded country since its foundation. It has succeeded in combining its own inherent sense of warmth and hospitality with a well-educated medical community and modern medical technology. For over a century Thai doctors have been training in the west and then returning home to introduce and integrate their new skills into the Thai system. This ensures that the International hospitals remain on the cutting edge of medical progress. It also has the benefit that many of these advances are incorporated into the government system to treat the people of Thailand. Thailand has a long history of treating foreign patients. The first hospital to be built in Bangkok specifically to treat its foreign residents, BNH Hospital, is now over a hundred years old. The major hospitals Bangkok Hospital, Samitivej Hospital and Bumrungrad have been directing their energies to the International market for over twenty years, and forty percent of their patients are now international. Many of these patients are foreign nationals residing not only in Thailand but in the surrounding countries who recognize Thailand as having excellent medical care. At the present time the largest group of medical travellers comes from the Middle Eastern countries, but an increasing number of people from Myanmar and Cambodia are seeking care in Bangkok. A large number of patients are now coming from east Africa as well. Thailand’s formula is to offer courteous, competent, and compassionate care at an affordable cost. These attributes are further enhanced by the world-renowned graciousness of Thai hospitality. Almost every patient who enters a hospital comments on the communicative abilities of the doctors and the gentleness and kindness of the nursing staff. It is a policy of the Thai government to be supportive of the work of Thai hospitals in providing medical care to foreigners. The leading hospitals have worked to provide a welcoming attitude to visitors and their families. The hospitals are well placed and easily accessed from the areas where foreigners live or stay. The hospitals run elaborate concierge services, meeting patients at the airport and bringing them either to hotels or to the hospital. Bangkok Hospital has a dedicated helicopter and is able to perform air evacuation for patients from all over Thailand and neighbouring countries. Arrangements have been made with local hotels for accommodation of outpatients or families and also have serviced apartments, on site, for this purpose. The concierge departments help patients with visa issues should they outstay their visa, or re-book airline tickets when necessary. Hospitals have aviation medicine consultants who can facilitate repatriation, sometimes with accompanying doctors and nurses. Bangkok Hospital has a referral center and receives several hundred enquiries daily by email and telephone from throughout the world. A telephone hotline with English-speaking agents is available 24 hours a day. Patients may also ‘walk–in’ either to emergency rooms or request an appointment at a primary care or specialty clinic. The international hospitals are dedicated to providing comfortable access but even at government hospitals foreign patients can receive treatment if necessary. Of course, in these hospitals, the ability of the staff to communicate in English may be very limited. They often provide initial care and then make arrangements to transfer the patient to an international hospital. Patients outside of Thailand or in distant parts of the country may use assistance companies to facilitate their transfer and admission to the hospital. This is usually initiated by patients seeking assistance from their insurance companies and are arranged to be brought to Bangkok. Over the years, the assistance companies and hospitals have developed a cooperative attitude, and these transfers are achieved very smoothly. Relationships with medical Insurance companies and travel insurance companies are essential in modern medicine. For international hospitals, there are the added complications of multiple companies in different countries, and in different time zones. Thai hospitals have developed a reputation for quality ethical treatment and relationships are excellent. Hospitals have large departments dealing with third party payers. They obtain approval for admission and treatment plans and guarantee of payment for patients admitted in emergency situations, and are able to obtain pre-authorization for elective admissions. This is essential not just from the hospital point of view, but also to provide peace of mind for the patient. Bangkok Hospital has developed some special relationships notably with CFE – the French agency that pays for care for French nationals outside of France – and has direct billing agreements with over 90 international Insurance companies, 50 of them in Europe. Film on the Rocks – the fist event of its kind in Thailand – will feature four days and three nights of film screenings, local activities and lively conversation at Six Senses Yao Noi, Dec. 16-20, 2011. Tilda Swinton, cultural activist and producer, and Weerase Thakul, film maker and winner of the 2010 Palme d’Or, will curate the inaugural Film on the Rocks event and present film titles during the screenings on the rocks of Phang Nga Bay under the stars. Emerging filmmakers will be chosen by Weerase Thakul at the event. Activities and conversation will take place with the participating of Waris Abuwalia, Jefferson Hack, André Saraiva and Olympia Tan with local villages and sea gypsies of Yao Noi. Six Senses looks to Film on the Rocks to become a source of creativity and not just a backdrop to its interest in the environment. Six Senses has pioneered the idea of intelligent luxury and environmentally sustainable eco-tourism as it continues to support cultural exchanges on its properties worldwide. GHM Hotels has embarked on a spa-by-spa makeover, starting with The Chedi in Chiang Mai and replacing its current products with new organic lines, and a green philosophy. The process continues through the end of the year. “We’ve always had a holistic spa concept – but until now the choice of suitable product lines has been limited,” says Brenda Ramen, GHM’s spa director. The new line-up from GHM – Voga, Ila and Spa Ritual – is approved by both the USDA and the UK Soil Association. They contain no harsh chemicals, no parabens and no toxins – products that go beyond pure and natural to organic. “Change,” she adds, “can be good – but only if you’re moving in the right direction. At GHM, we’ve always been holistic, as opposed to cosmetic, which is much more salon style, and much more chemically oriented and all about quick results. The body wants and needs certain chemistry. The wrong chemistry is toxic because cosmetics leach into the blood, he says. In terms of treatments, health takes precedence over wealth. It used to be the other around. Only now, it’s trickled down to the cosmetic industry. The Hilltop Reserve at Six Senses Yao Noi in Thailand – once the private haven for the rich, the famous and royalty – is being opened to all guests for cocktails, dining or just taking in “the most exceptional views in Asia”. 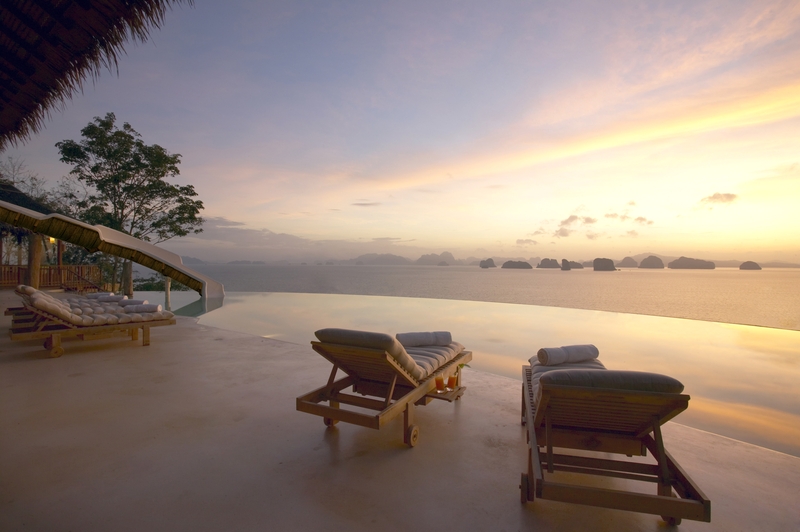 The Hilltop Reserve is perched high on the hillside of the island, offering uninterrupted views across Phang Nga Bay. Guests are greeted by a 246-square-metre infinity pool, complete with a two-storey water slide that extends seamlessly into the deep blue sea beyond. Outdoor and indoor dining areas will serve both classic international and contemporary Thai dishes that use the freshest local seafood and herbs and vegetables from the resort’s organic gardens. Sunset cocktails are served as the waters of Phang Nga Bay change color. There are also plans to hold open-air cinema nights, with a screen set up in front of the “epic backdrop”. The Reserve’s 56 villas, some turned to the view, some within the green tropical jungle. All are built on stilts, Each has a private pool, specious rooms and offers total privacy. The spa industry is enormously important to Thailand’s economy with its capacity for huge nationwide revenue generation and its association with a variety of industries and numerous workers in the business. Thailand’s spas potentially attract foreign tourist revenue by more than 24,000 million baht per year, according to Naew Na Newspaper; with the local Thai market garnering approximately 2,000 million baht per year, according to the Weekly Manager 360 in 2009. The spa business provides health services with high potential growth because Thailand combines a positive blend of hospitable, smiling and service-minded spa workers with favorable natural resources. Teamed together, the spa industry has now become one of Thailand’s government-supported industries. Moreover, it is a health care service that the government has targeted to make Thailand a “Center of Excellent Health Care in Asia, 2003-2011,” being expected to generate revenue for the country by at least 100,000 million baht, according to Naew Na. Thailand’s past Spa business proved to be a steady growth industry, with its average growth potential at 10-20% per year due to health concerns in society. In the second half of 2011 into 2012, Thailand’s economy will likely grow as a result of many industries, previously affected by a raw materials shortage after Japan’s horrific earthquake and tsunami in March 2011, having stronger exports in the second half of the year following Japan’s recovery, which has been faster than expected,. Clear and consistent policy implementation by Thailand’s new government will from now on encourage higher private sector confidence than in the past, both in consumption and investment. This will be beneficial to all business in Thailand, including the spa business. While in the past, the major group of spa customers was foreign tourists, with Thai customers representing only about 20% of Thailand’s total spa industry income, in relation to all industry groups, according to Naew Na, it is likely at present, with the country’s situation beginning to return to normal conditions, that Thai consumers may be drawn back to Thailand’s tourist sector and spend more in spa services. During Thailand’s recent election campaign, the PueaThai Party announced policies that would have both positive and negative impacts on spa business. Short-term positive policies included a visa waiver for countries in the Middle East and Japan, plus a revival of relations with Saudi Arabia that could increase the number of tourists and visitors to enjoy Thailand’s spas in the future. In addition, some policies were also mentioned that could result in long-term benefits for spas, including the building of infrastructure, double-track rail lines to connect ten metro suburbs of Bangkok, high-speed trains to Korat, Rayong, and Chanthaburi, an airport link to Pattaya, and plans to improve Suvarnabhumi Airport to be the Aviation Hub of Asia, etc. These developments will facilitate tourists with quick and easy access to spa services and indirectly promote tourism and the spa industry long-term. Meanwhile, the policy of reducing corporate tax from 30% to 23% will allow entrepreneurs to profit from operations or to expand and develop their businesses. However, it is still unknown when the government will implement this policy and how it will actually happen. For some policy that might adversely affect the spa industry, such as a minimum workers’ wage at 300 baht a day, increased base salaries for Bachelor’s graduates working with a starting salary of 15,000 baht, and increased base salaries for civil servants and state enterprise employees. These policies, in some aspect, may increase people’s purchasing power; however, higher wage costs, especially for labor and other spa business operating costs may lead to higher inflation. Thus, higher wages and salaries may not increase consumption in spa services, but increased operating costs will decrease competitiveness, making it difficult for spa business owners to compete both domestically and internationally. 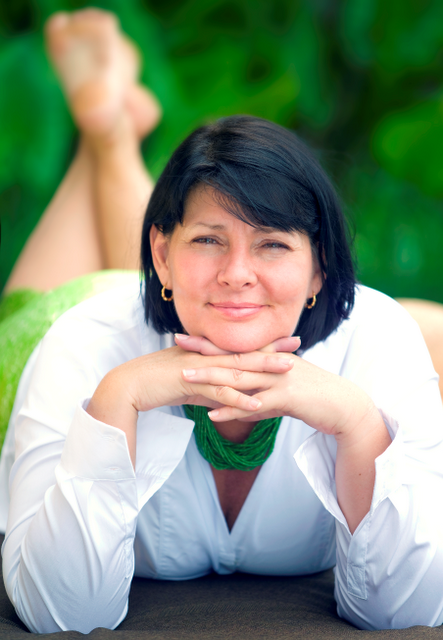 The Spa business in Thailand has good prospects consistent with a world that is interested in health. If the spa industry receives appropriate support and strategic development from the government, it will surely generate large income for the country in the future.